Mobile Wonders has been around for a long time in the portable speakers market but I haven’t really tried their small and compact speakers until now. The speakers are compatible with almost all mobile devices that have a headphone jack like iPods, mobile phones, laptops, tablets etc. 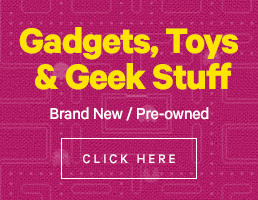 They are also into other mobile products like camera accessories and charging adapters. 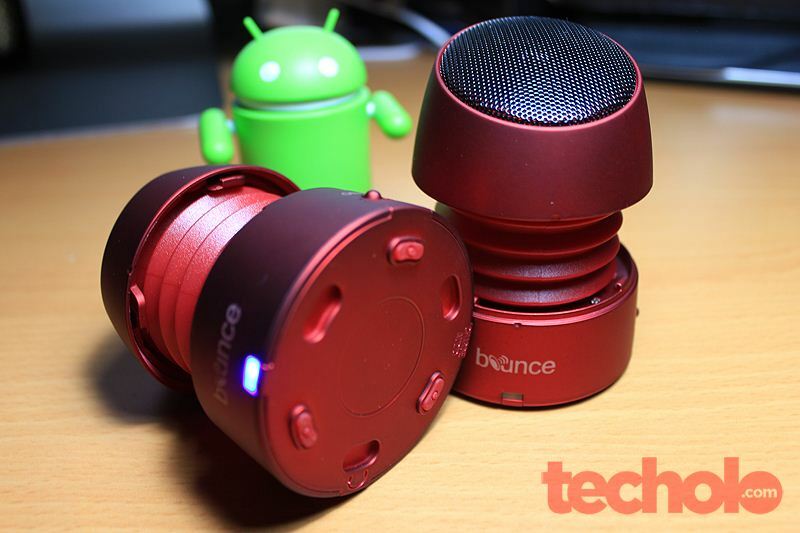 For this review, I was able to try the Mobile Wonders CURVE and BOUNCE speakers. Will it be a nice Christmas gift? Check out my impressions on both after the jump. 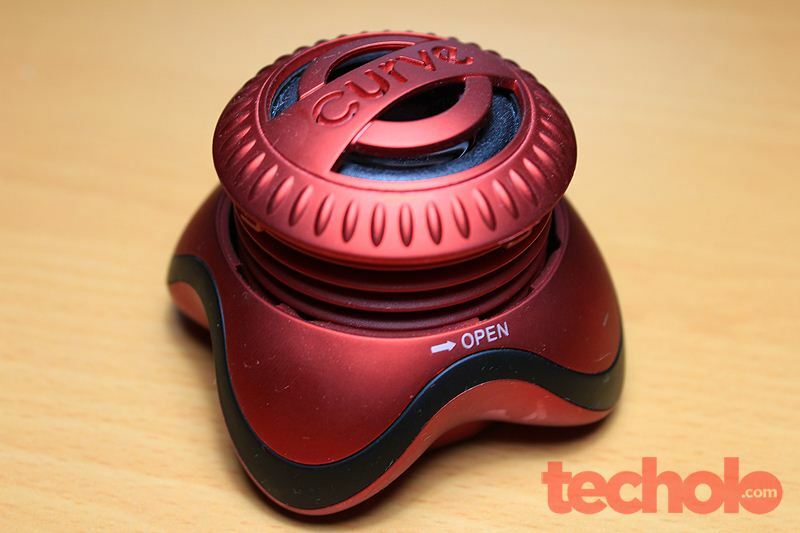 The CURVE speaker has a built-in rechargeable lithium battery that charges at any 5 volt USB port that plugs into the speakers mini USB connection. The main feature of this mini speaker is its retractable and extendable speakers that mimics a subwoofer. 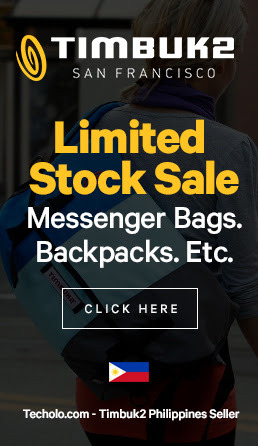 There is an included 3.5mm headphone jack hidden below and an extra cable with a USB connector and another 3.5mm headphone jack for charging and listening to music. The sound of the CURVE is very good for such a small compact body. Extending its body builds a bassy and full sound compared to the ‘close-mode’. It even bested our Asus laptop speakers and I’m sure it will trump any netbook or pocket media players around simply because it has a larger speaker than most portable devices. Overall I like the speaker. I also liked the matte surface that adds a premium quality feel to it unlike other cheap generic speakers I’ve used before. 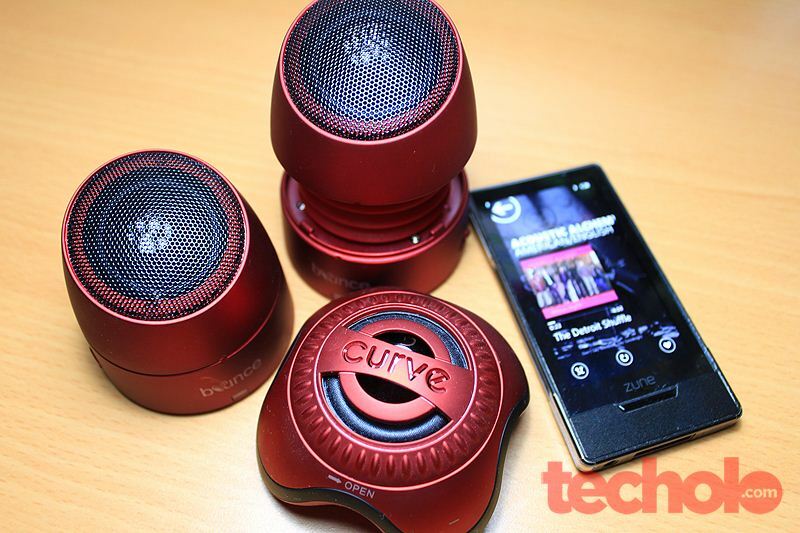 The CURVE speaker is being sold at around 1,250 Pesos and comes in Black, Red and Silver colors. The BOUNCE speakers shares some similar features with the CURVE above but this model comes in pairs (for the left and right channel) and adds nice improvements. This speaker also has rechargeable lithium batteries and has the same retractable body. If the CURVE was loud, the BOUNCE is louder. I like the fact that I can place one speaker on my right and on my left. 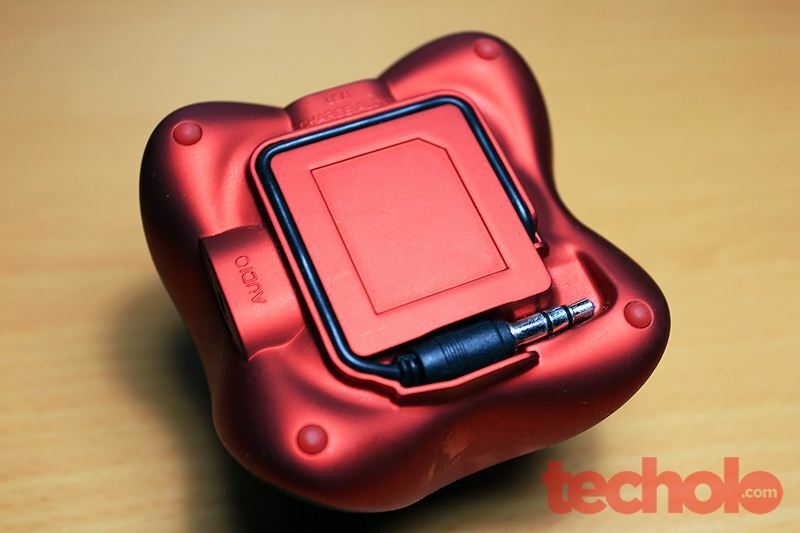 Very useful for gaming on a laptop with a not-so-good speakers or just listening to music. The speaker has a magnetic base so you can actually place both at their bottom ends or, in my case, attached them under my work desk and on the steel frame, leaving me more room for other stuff. The magnetic feature is really a nice addition! 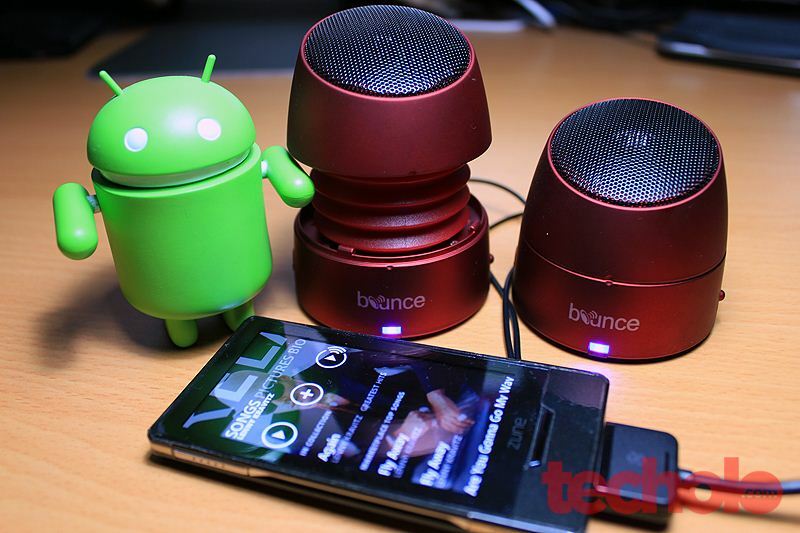 The BOUNCE speakers has EXCELLENT sound. I was really impressed and I thought the CURVE was good! I’d prefer it over the CURVE because of the improved buttons and dual speakers. The package includes the charging cable and earphone jack plus a travel pouch for both speakers. 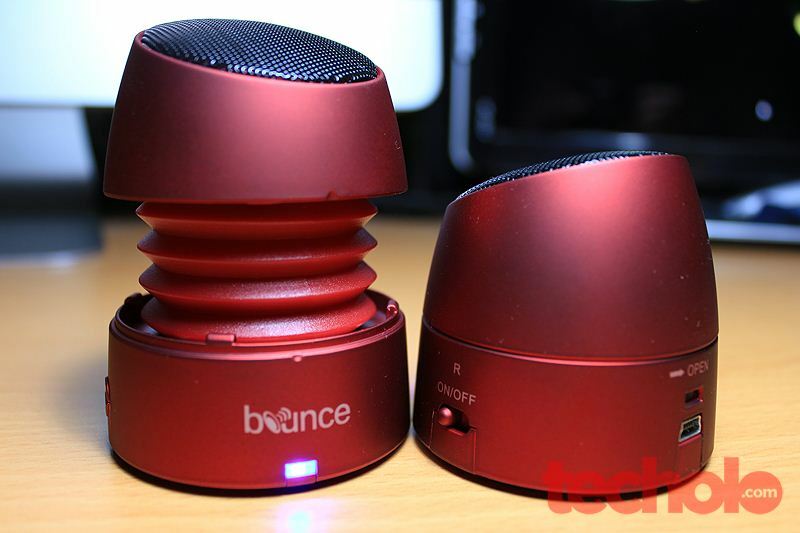 BOUNCE is priced at around 2,250 pesos and comes in Red and Black colors. 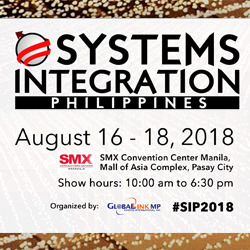 Mobile Wonders speakers are being sold almost anywhere there are gadgets and electronics – Abenson, SM Appliance Center, Odyssey, Globe Centers and even leading Apple Reseller stores to name a few. Check out www.mobile-wonders.com for more of their products. Thanks to Mobile Wonders for providing this review unit.